The Cutest Home You Ever Want To See! I have two lifestyles I’d love to live, as most know. One is the gorgeous vintage style, that with the possible exception of an internet connection, would have me living totally 30’s style, sheer heaven. The other is the opposite, something futuristic, that either looks like it was designed by, or for aliens, or for a robot home, take your pick. So yes, something pod like, very futuristic looking, and all that. So when this little baby appeared on my Facebook thread this morning, I quickly fell totally in love! Isnt that just so cute! And yes, the future looking, sci-fi me just loves it. And it has the advantage that not only is it so futuristic looking, its environmentally friendly too! Not quite an alien space craft, but not far off it! The price equates to about £60,000, by the way. I’m not sure how comfortable long term it would be to live in this tiny little home, but I’d happily give it a try! 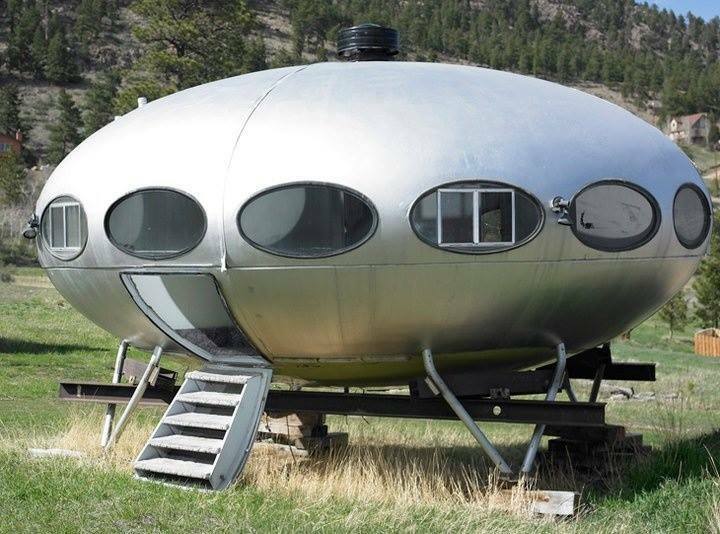 But yes, you’re right, I cant afford one, unless I win the lottery tonight, and then I guess I’d probably go down the 30’s route for the design of my new home, but I guess I could get one of these, customise it perfectly for a robot/alien, and tuck it in the garden, I guess? And yes, you’re right, I’d love to go to Bratislava, and see what it really like inside. So, if anyone has money to spare (and someone will after tonight…), pretty please!